Townsville is a thriving city rich with local and international business. Savvy business owners in Townsville are looking to modern and cutting edge marketing methods to get ahead. SEO and digital marketing is the number one way to get ahead of your competition and stay there. Why? Simple. People are increasingly using the internet to find information about products and services and ultimately where to spend their money. By presenting yourself well in the digital sphere, your company is visible to the customers who are already actively searching for you. Those who don’t invest in their digital presence are quickly falling behind. If your competitors outrank you in Google, Yahoo, and Bing, there’s no telling how many customers that you could be serving are ending up at your competitor’s doorstep, wallet in hand. At Divergent Media, we are the leading experts in Townsville SEO and digital marketing. What we offer goes beyond getting you ranked in the leading search engines, though that is an added benefit. We bring our clients into the modern age, creating a web presence that serves as a foundation for growth. Through a digital marketing and SEO strategy that is tailor-made to serve our client’s needs, we create a unique space for them in the digital realm to market effectively and stay ahead of their competitors at every turn. Your website is a lot like your physical storefront. You need it to be attractive, functional, and able to be found to attract business. Much like a physical property, it needs to be maintained and improved over time to get the best results. We specialize in web design and can optimize your website to offer your visitors the best experience possible, or even build a brand-new one from scratch if necessary. Google overwhelmingly favors websites that load quickly, offer easy navigation, and keep users on the page for longer amounts of time. By shoring up your web presence we can make sure you aren’t getting any penalties for preventable technical difficulties, and by giving your visitors the best experience possible, we can improve your time spent on page. That brings us to content marketing. 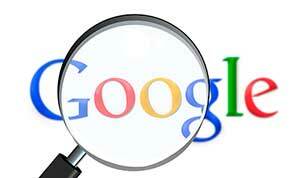 Google also favors websites that are optimized for mobile. Most Google searches made today are from mobile devices such as smartphones and tablets, and Google prefers to rank websites that are going to be useful to most their users. 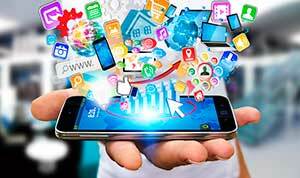 We specialize in mobile web design and optimization, giving you a web platform that can be reached by more visitors and avoids ranking penalties. With a professional and high performing website set up, we need to focus on giving searchers a compelling reason to stay on your website. We accomplish this through well-written, high-quality content that communicates your products and services effectively and tells Google that you have what searchers are looking for. Our team of expert copywriters provides engaging content that communicates just as well with your customers as it does with Google’s crawler programs. By incorporating thorough keyword research, we can get you ranked in the most competitive searches while driving the best potential customers to your page. One’s who already want what you’re selling and only need to be convinced that you are the right company to do business with. Social media has changed the way we communicate with one another, and as a result, how businesses communicate with their valued customers. Social media is a fantastic way to reach thousands of your customers, current and future and disseminate information and announcements. But the immense benefits of active social media management and marketing don’t end there, Google and other leading search engines look at social media traffic when ranking websites and research has shown that the more traction a site has on social media, the higher it tends to rank. When deciding which Townsville SEO agency to partner with, it’s crucial that you choose an SEO firm that understands that the best SEO is about more than just getting ranked. It’s about creating a comprehensive and well-rounded marketing strategy that gives your customers the best experience possible and keeps you on the cutting edge. Google and other leading engines update their algorithms constantly to improve their user’s experience, leaving many Townsville SEO firms in the dust. Through comprehensive research and analysis, we keep current on the most effective digital marketing and SEO methods, ensuring that as the digital landscape evolves, you and your business evolve with it. 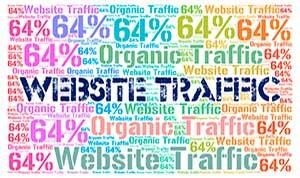 Many Townsville SEO firms can get a web page ranked using cheap and short-sighted methods. We offer something different. A long-term strategy that gets you to the top Google ranking and keeps you there, while providing your customers with the best online experience possible. Call us today for a free consultation and find out hoe Divergent Media can help you grow your business through the most impactful and cost-effective marketing strategy available.